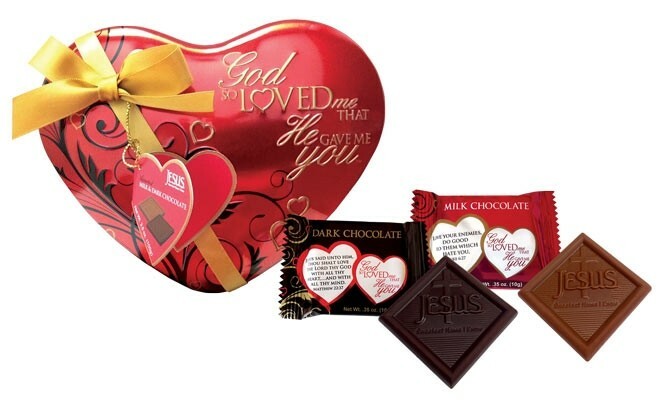 This beautifully embossed heart-shaped Scripture Candy tin is filled with 3.5 oz. of assorted milk and dark chocolates. Each Religius Candy piece is individually wrapped in the “God So Loved Me That He Gave Me You” theme and a love scripture. Tin is embellished with an elegant bow and hangtag. Makes a great Valentine’s Day gift.